I found this soap in my local hardware store the other day. And the moment I saw it, I knew I was going to have to share it. 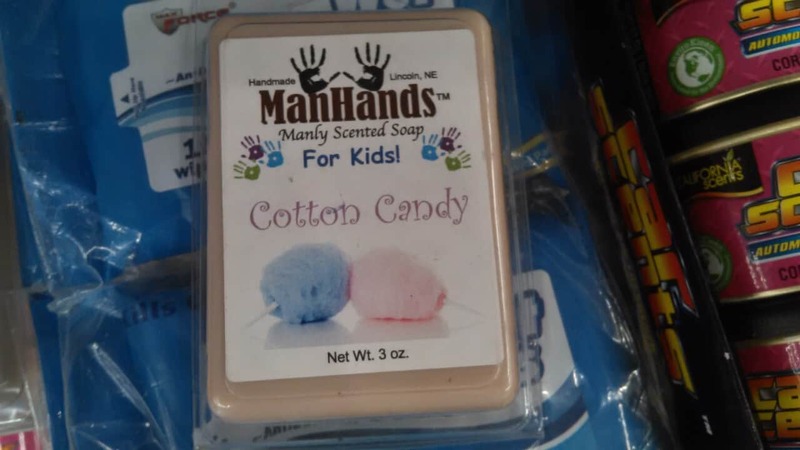 So, here, we have Man Hands Soap, a brand of scented soaps marketed toward men. I really don’t know what that means. I’ve seen it, and I still don’t know what it means. The originals are scented in Manly scents… You know… like Bacon and Muscle Rub. And because “Clean” just isn’t a manly option, they also have Top Soil. Yup. That would be a soap that actually, literally, smells like dirt. 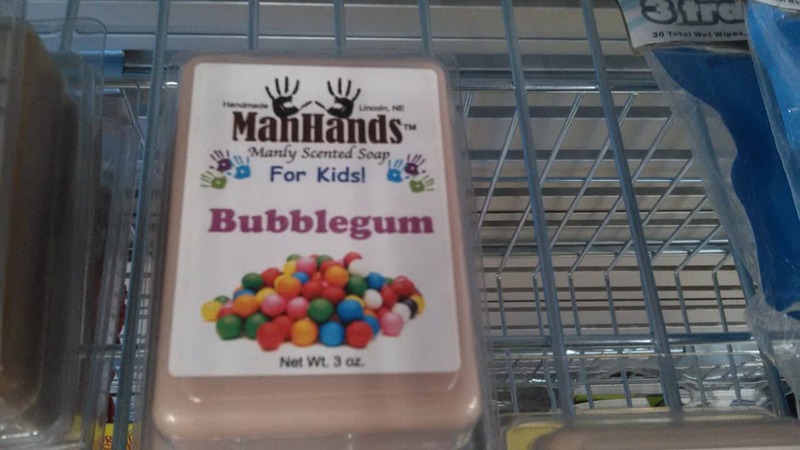 This is Man Hands Soap (for kids!). Note that gender-neutral, kids. Because these days, it’s not just little boys who want to smell like a Man. Apparently, men also smell like bubble gum. Who knew? Oh, look. And they’re even made here in Nebraska. I guess that means they get a link. Hmmm… Now, what shall I link to, exactly? The only picture of a man on the whole site.